WASHINGTON — Rep. Andre Carson and other members of Indiana’s congressional delegation are concerned that a possible change in the way the Army handles its financial management services could affect jobs at a military finance facility in Marion County. In response to questions from Carson at a House hearing Tuesday, Army Secretary John McHugh said the Army is testing some changes, but he doesn’t expect they will have much impact on the Defense Finance and Accounting Service facility in Lawrence. McHugh added, however, that everyone has to be realistic about the fact that, as the military downsizes, there will be fewer transactions for DFAS to handle. “The face of DFAS … would have to make some adjustments to accommodate the drawdown in the budget as well,” McHugh said. The DFAS facility in Lawrence employs more than 3,800 people. Carson, D-Indianapolis, and other members of the delegation sent a letter Monday to the Pentagon’s comptroller expressing concern about an Army review of financial management processes and a pilot program that involves moving some DFAS responsibilities to Fort Bragg in North Carolina. The delegation asked for an immediate briefing, and for answers to a number of questions, including how many Marion County employees would be affected and how the changes would lower costs while maintaining efficiency. Carson also raised the issue with McHugh, who testified before the House Armed Services Committee about the Army’s budget. McHugh said the Army is trying to “optimize our financial management and financial structure internally” and is testing changes through a pilot program. McHugh said the Pentagon is working on a response to all the questions posed by the Indiana lawmakers. Lawrence Mayor Dean Jessup said he’s eager for answers. 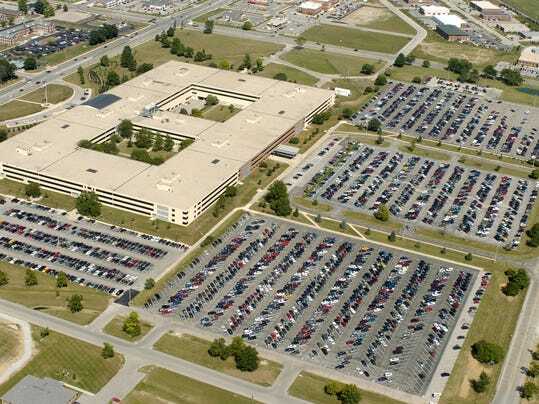 The Lawrence facility was a jobs winner when the Pentagon closed most of its other finance centers during the last major military facility restructuring in 2005. “The expansion of the facility over the last two decades is proof of their competence and the trust they have garnered in Washington,” Carson said. The Pentagon has asked Congress in recent years to approve a base-realignment and closure commission like the ones used in 2005 and during earlier military downsizing efforts. Lawmakers have resisted but are facing increasingly hard budget choices because of tightened defense budgets. Email Maureen Groppe at mgroppe@gannett.com or follow her on Twitter: @mgroppe.